graduation she completed her residency in General Dentistry at Mt. Sinai Hospital in Miami Beach. Dr. Lopez made Miami her home and is currently practicing in North Miami since 1997. Her passion for dentistry drives her to continue learning new procedures to provide the best care to the community. Dr. Aida created AMLO program that offers dental care for uninsured children in the Miami area. 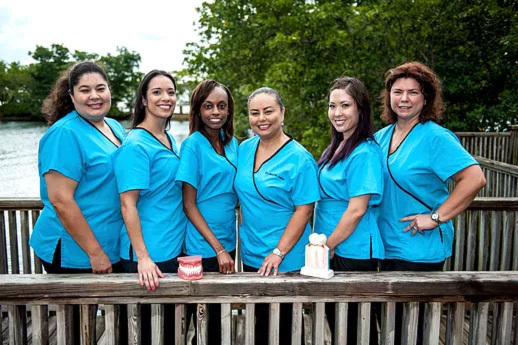 Our entire team is committed to serve our patients with their dental and skincare needs and provide them with the best care experience one can find, from your SMILE to your overall well-being. Dr. Aida M. Lopez has created the AMLO dental child care program to help uninsured children with their dental needs in the North Miami area. To provide the best oral and skincare for our patients in the Miami-Dade area with our unique concept, great staff and exceptional service.